Bridal Birdcage Veil Soft Bridal Illusion Tulle Material.Birdcage veil 8 inches long x 12 inches wide, Soft Bridal Illusion Tulle Veiling. 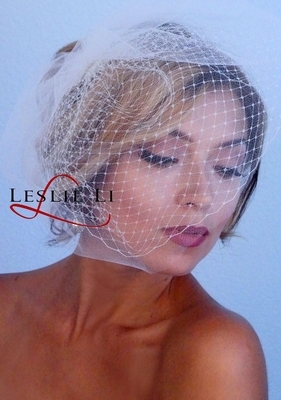 Bridal Birdcage Veil approximately 8 inches long x 12 inches wide, French netting, comb attachment. Birdcage Veil is attached to small metal comb. Styling instructions included. Leslie Li ~ Love Your Life! !